Today's goal was to get back to civilization, or at least a town with a grocery store and maybe some Internet. That meant Waipukurau which was actually only about 55km away. My short term goal has been to land in Hastings, where I'll take a day off and meet a friend of a friend. I didn't have the 105km for the full trip in my legs so I'm doing it in two shortish days. 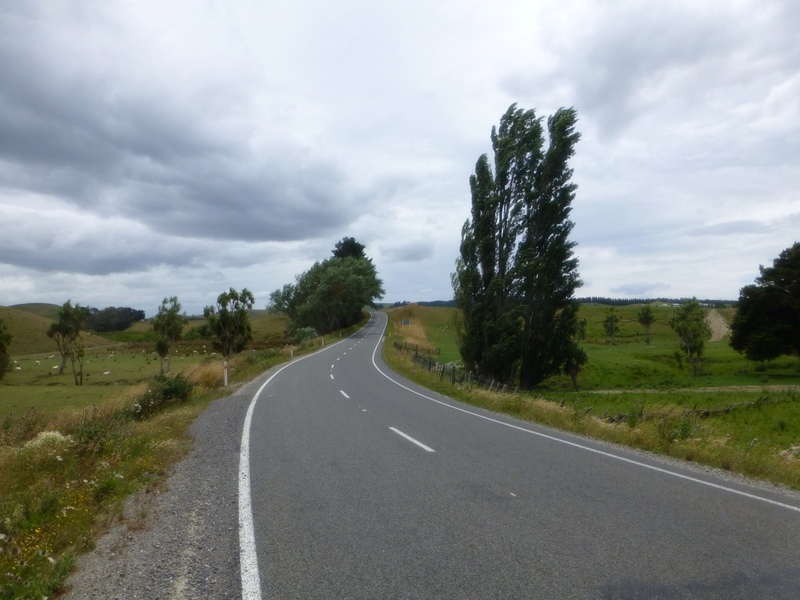 I took an even more deserted road to get back to SH52 from which I could see the sea off in the distance. Not too much to write about for this ride though, it was empty, windy and a little hilly but nothing crazy. When I made it to Waipukurau, I hung out in the library to catch up on the Internet that I've been without for 3 days and then restocked on groceries. I had to set out of town to find somewhere to camp and wound up riding another 7km before pitching the tent. Found good shelter from the wind and just as I was crawling in my bag to go to sleep it started raining. I love the sound of rain on my tent at night, it's like falling asleep during rain at home but a million times better. This entry was posted in Uncategorized on January 3, 2013 by twymer12.